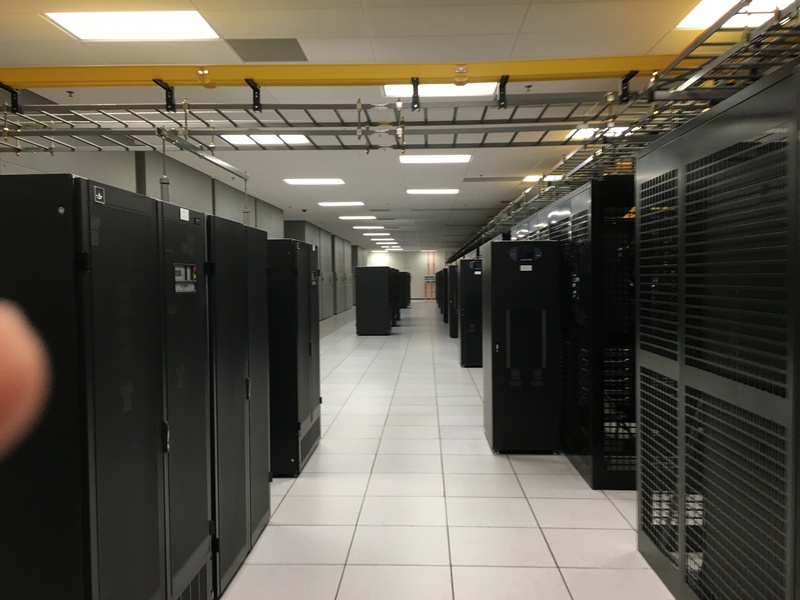 Last week, I had the chance to visit one of the largest Data Centres in the World that is located in Metro-area Atlanta, Georgia as part of a project of a customer’s Data Centre relocation. Being in several large Data Centres in the past makes me say I am really impressed by the huge data footprint, Systems organisation, Access security, and the massive support infrastructure for The Data Centre. 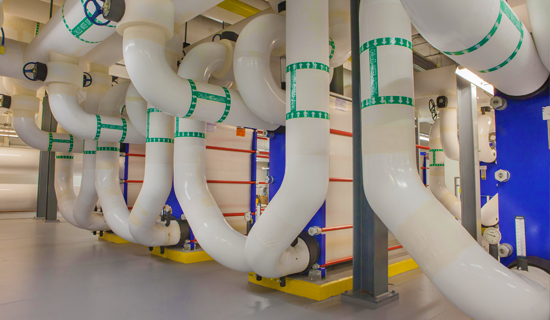 This massive facility features its own on-site Georgia Power substation and direct Fibre access to a wide variety of carrier alternatives. 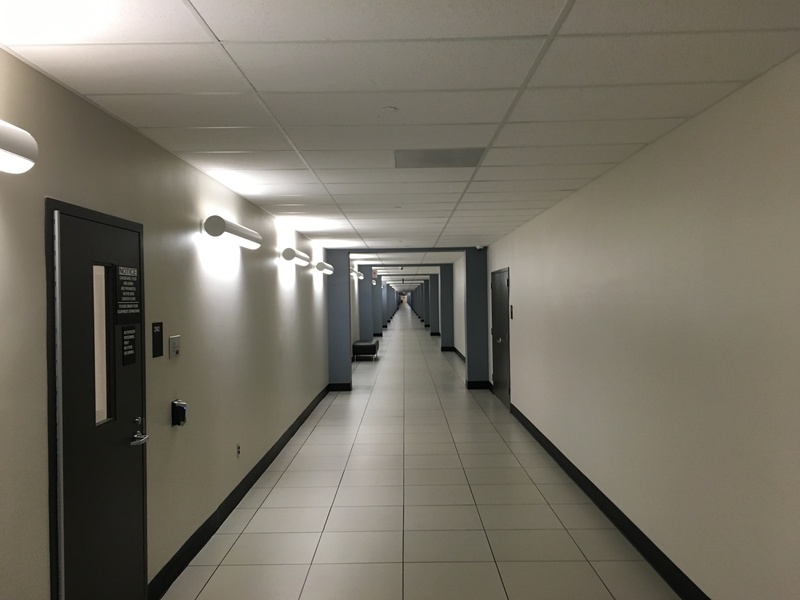 I took the opportunity to take several pictures of one Corridor location in the Data Centre, and it is an endless hall with several doors on the right and left, each is representing a massive Data Centre locations hosting several Carriers and providers. Huge hall way with Data Centres doors on the right and left each protected by two factor physical access and two doors access to a huge data centres. 358,000 sq. ft. of 48″ raised floor. It can actually can host more than 8000 average size cars. Diverse SONET access and dark Fibre available. In-house carriers and IP providers. Fibre connectivity to QTS Atlanta-Suwanee Data Center for business continuity. This will allow spatial redundancy if the customer chooses to leverage. Security fence surrounds perimeter of property . 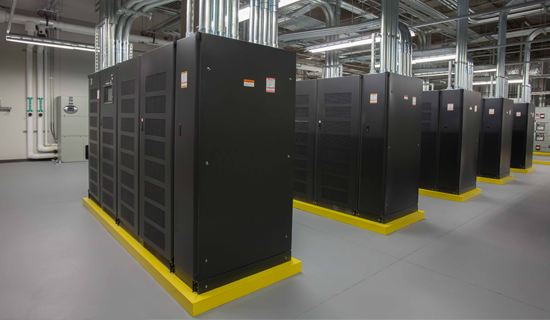 2-Door access to each Data Centre location and individual key access to each section and each cage. Active patrol both inside and outside facility. Closed circuit video cameras cover the interior and exterior of the building.